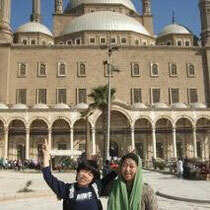 One of my friends,Kumiko and her son,Takao sent me new years phot from Cairo in Egypt, my dream country.What a great view!! Thanks friends and Happy New Year. 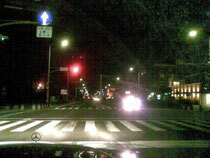 Another pic of Enoshima in Japan taken on the New Year's Eve by friends, Kazumi and Hiroki Ozawa. Wonderful! Cute New Years hand made card from friend live in Jamaica. 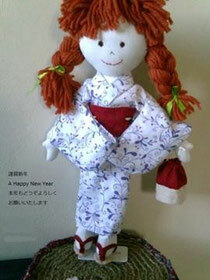 This is modeled after doll named Neana. Kawaii ne! Wondering where is she from?